Summer is the season for concerts and outdoor entertainment. Tickets For Less has the tickets you need for any of the shows making their way to Kansas City this summer. And there are plenty of Kansas City summer concerts to see. Some of the biggest acts coming to KC this summer include country music stars like Kenny Chesney and other country music superstars as well as some staples of classic rock like Journey and Guns N’ Roses. 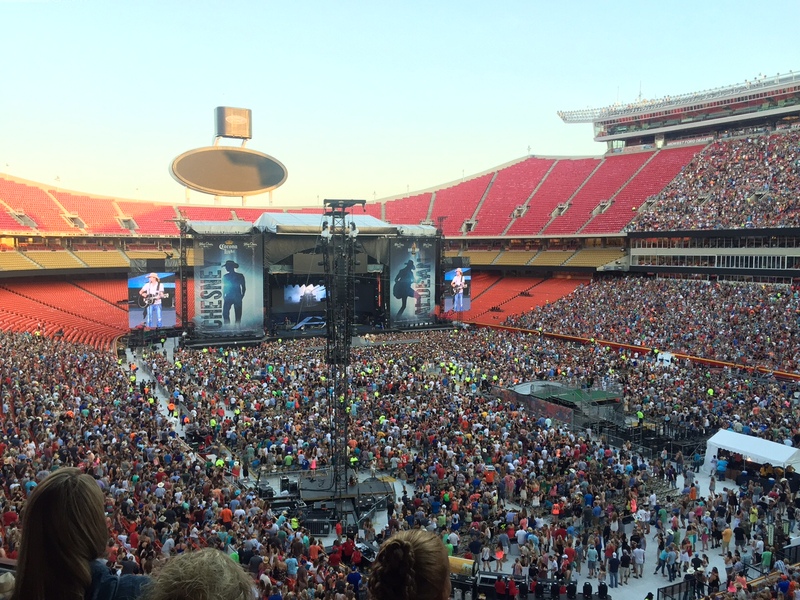 Chesney takes the stage at Arrowhead Stadium July 16 in what has consistently been one of the most highly-anticipated shows of the summer in KC. This show will be only eight days after the release of Chesney’s new album, “Some Town Somewhere,” which is released July 8. Miranda Lambert joins Chesney for this concert. While this show takes place in just under two months, tickets are selling quickly at Tickets For Less. We have limited tickets in the lower bowl at Arrowhead and plenty of tickets remaining for the upper deck. Only two shows this summer are at Arrowhead Stadium. The other comprises two of the biggest acts in rock music with Guns N’ Roses and Alice in Chains. Axl Rose and Slash take the stage at Arrowhead June 29 to play classic hits like “Paradise City” and “Welcome to the Jungle.” Tickets For Less has a wide array of tickets for sale for this show, with field GA tickets that will put you right in front of the stage on our website. We also offer upper deck tickets at great prices and a very limited amount of lower club level tickets. The biggest country music shows in Kansas City are fast approaching. The Zac Brown Band will play at the Sprint Center on May 27. Another country music star, Keith Urban, will play at Providence Medical Center Ampitheatre on June 2. Tickets for both of these shows can be purchased at Tickets For Less. Another big upcoming show features Journey and The Doobie Brothers in concert at the Sprint Center on May 28. Look forward to Journey’s performance of some legendary rock ballads like “Don’t Stop Believin’.” Tickets For Less offers a very limited number of lower bowl tickets for this show as well as floor tickets and excellently-priced upper deck tickets. Other important shows include legendary rock act KISS at Silverstein Eye Centers Arena in Independence, M0., and Bob Dylan & Mavis Staples at Starlight Theatre. KISS performs July 20 and tickets are widely available, starting at just $75. Bob Dylan & Mavis Staples will perform June 21. Tickets to see the blues rock legend start at $99 at Tickets For Less. At the end of the summer, you can still see some huge acts in Kansas City. Def Leppard and REO Speedwagon will take the stage at the Sprint Center Aug. 26. The last major country music act to make its way through Kansas City will be Luke Bryan with Little Big Town and Dustin Lynch at Providence Medical Center Ampitheatre. Tickets For Less is an Overland Park, Kans.-based ticket seller. At Tickets For Less, we don’t charge hidden service fees or taxes, so the price you see listed is the price you will pay. To order from Tickets For Less, visit our website or call 913-685-3322.